South Hampstead is the name given to a network of streets that fan out from the Finchley Road (A41), with borders created by Broadhurst Gardens to the north, West End Lane to the west and Belsize Road to the south. The area also extends north of the A41 with two further streets – Nutley Terrace and Fitzjohns Avenue - forming a rough triangle with the Finchley Road. One hundred and fifty years ago this area was celebrated as “The most rural place within two and a half miles of Oxford Street” but the steady northward march of the railways made it inevitable that the countryside would give way to urban planning. Development began in 1874 and by the turn of the century South Hampstead’s urbanisation was complete. It’s clear that Victorian property magnate Spencer Maryon Wilson, whose family owned the land, took great pride in his work: constructing street after street of handsome, red brick houses created to appeal to the middle classes. Although a few purpose-built mansion blocks were included in his plan, most properties were designed to accommodate well-to-do families and their servants. Today South Hampstead is a popular area for young professionals and families, including a large American contingent, who want good leisure facilities and a speedy journey into Central London. With the extension of the Jubilee Line and direct access to Canary Wharf, the area has become particularly popular with those people working in the City. In this area you’ll find imposing terraced, semi-detached and detached Victorian and Edwardian properties - many now converted into flats – with period details, high ceilings and large rear gardens. Some modern developments have also sprung up, including luxurious new build properties. As a South Hampstead resident you’ll be able to choose from a wide range of top-rated private schools in the wider Hampstead area as well as some excellent schools within the immediate vicinity. The Little Ark Montessori Nursery, Broadhurst School, South Hampstead Junior School (which also includes a Senior School and Sixth Form), Mulberry House School, Emmanuel Church of England Primary School. Private schools include University College School, The Hall School, Southbank International School and the state run Quintin Kynaston Community Academy, The American School in London and South Hampstead School for Girls. 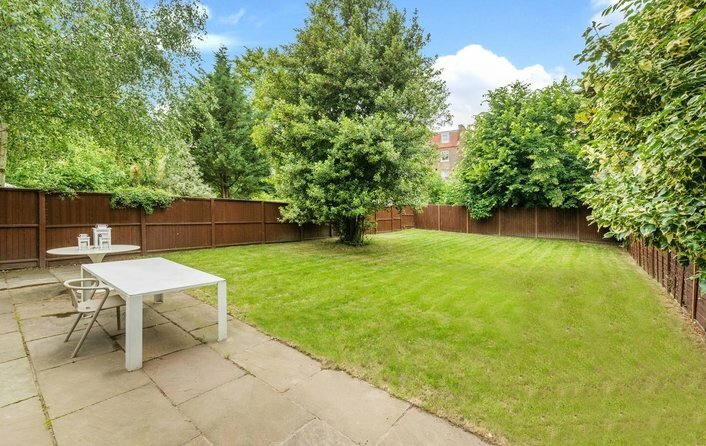 Why live in South Hampstead? Well connected to Central London and therefore popular with young professionals. Well-kept streets with handsome Victorian and Edwardian architecture. A short journey to reach two of London’s most iconic green spaces, Hampstead Heath and Regent’s Park. Convenient for amenities in Swiss Cottage and West Hampstead. Close to excellent Hampstead primary and secondary schools. Peaceful roads just a short stroll away from buzzing city life. A short journey to both Hampstead Heath and Regent’s Park. Convenient for Swiss Cottage leisure centre with gym and swimming pools. Convenient for the O2 shopping centre with cinemas and major brand retail outlets in Swiss Cottage. Convenient for cafes, restaurants and pubs in West Hampstead. The area is served by Swiss Cottage tube station (on the Jubilee Line) and Finchley Road tube station (on the Jubilee and Metropolitan lines) and there is also South Hampstead overground rail station, just one stop away from Euston. A number of popular bus routes use the Finchley Road, including the 13 bus to the West End and the 82 to Victoria. The Finchley Road (A41) is a major route that extends almost as far as the West End.